Drifter Tabletop Power Station Designer Colors - 3 Power, 6 USB Ports - ECA features multiple finishes to match any classroom, meeting room, or shared surface. Sturdy metal build ensures a sleek look and durability. 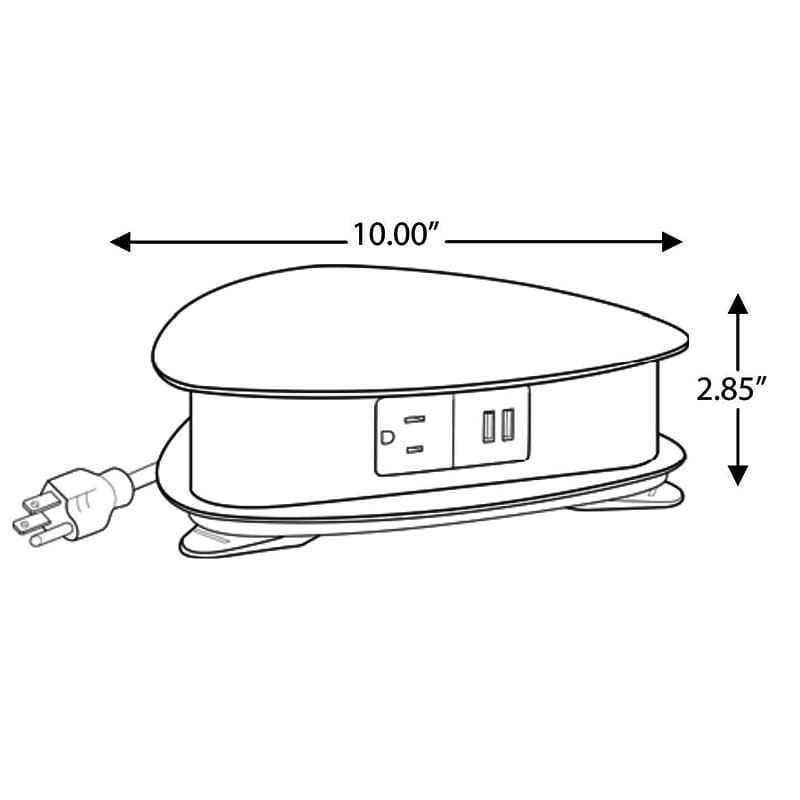 360 degree access to power plus tabletop mounting makes for a convenient solution. Drifter Tabletop Power Station Designer Colors - 3 Power, 6 USB Ports - ECA features multiple finishes to match any meeting room, classroom, or shared surface. Sturdy metal build ensures durability and a sleek look. Tabletop mounting plus 360 degree access to power makes for a convenient solution.